Cluster management manages cluster quorum and cluster membership. CMAN (an abbreviation for cluster manager) performs cluster management in Red Hat Cluster Suite for Red Hat Enterprise Linux 5. 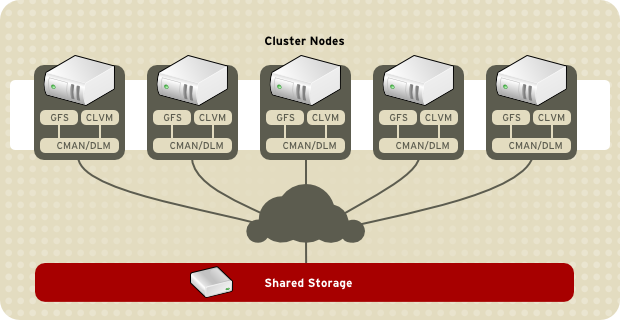 CMAN is a distributed cluster manager and runs in each cluster node; cluster management is distributed across all nodes in the cluster (refer to 図1.2「CMAN/DLM Overview」).